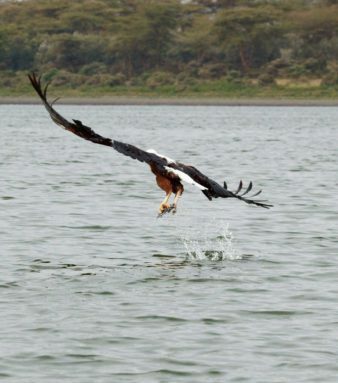 After the excitement of the Masai Mara, Lake Navaisha provided a tranquil and relaxing relief. 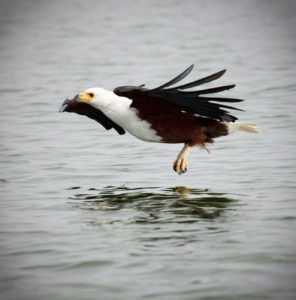 Lake Navaisha Country Club is set in beautiful grounds backing on to Lake Navaisha, which is home to hundreds of hippos and fish eagles. But if thought we were here just to see the fish eagles and hippos, we were very much mistaken as our guide took us to see a range of different tourist hotspots – different to anything we had encountered so far on our African adventure. Crescent Island is owned by a white Kenyan woman who was born in England but moved to Kenya in the 70s. She and her husband live in a beautiful homestead on the “island”, you can take a walking tour of the island with one of her guides. It is a beautiful national park full of wildlife. If it looks familiar it may well be – it was used in the movie Out of Africa. The walking tour takes about two hours and along the way are giraffe, wildebeest, dik diks, impala, cows and hyena. You can also walk down to the water’s edge and watch the hippos roll around in the water. It’s quite amazing walking among the giraffes – such graceful animals, they are my favourite of all the African animals. And while it’s a little nerve-racking being in a reserve with buffalo outside the safety of a van, it’s well worth it. 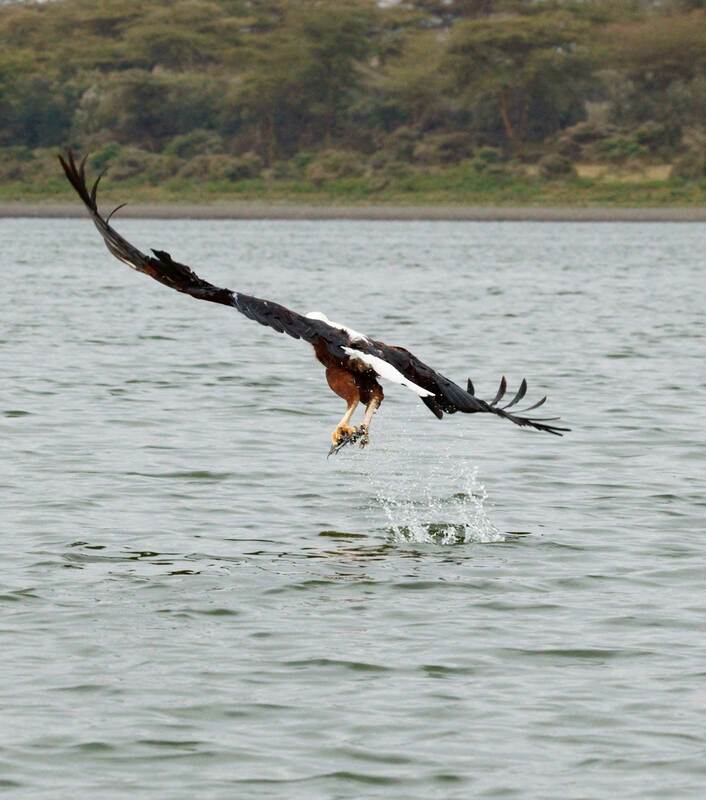 While Lake Navaisha is famous for Crescent Island and the fish eagles, it is also home to Hell’s Gate National Park, which is about 15 minutes drive from the Country Club. The park is a little disappointing as a national park after the extraordinary animals we have seen at the other national parks we have visited. 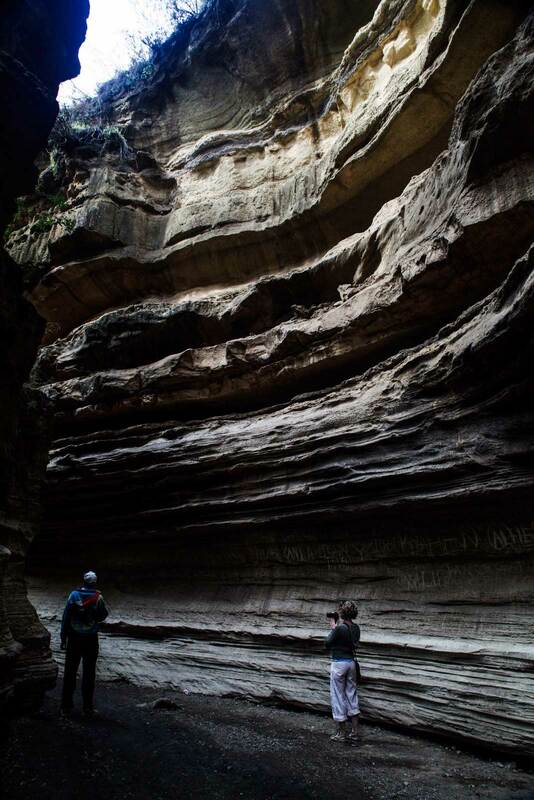 However it has an amazing gorge that was well worth the walk. The site was formed from a local volcano Mt Longonot, which erupted in the early 1900s. 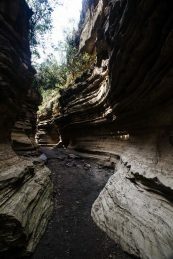 The jagged cliffs that surround the park give it a unique geography compared with the other national parks in Kenya. The park is run by the local Masai and they take walking tours through the gorge. The walk takes you down into the base of the gorge itself and then through the crevices and back up to the visitor centre. 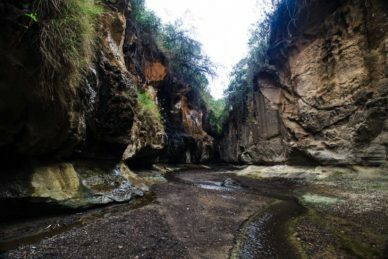 When we were there, the gorge had just a small amount of water flowing through it, however after heavy rains it would be quite a different sight, no doubt, as the water would gush down the walls. Hells Gate National Park at Lake Navaisha. At one point in the crevice, there are both hot and cold springs trickling down the walls. The walls themselves are riddled with salt, which evidently attracts antelope and impala at night. The animals lick the salt off the walls, and they in turn attract leopards (there are about five in this park), which lay in wait for an easy meal. The national park is also home to a geothermal electricity station, which takes energy from the volcano to power the country. It is interesting to see this industrial station in the middle of the national parks, while the smoke billowing from the stacks is somewhat off-putting at first, apparently the smoke is actually just steam coming from the heated water and does not harm the environment. 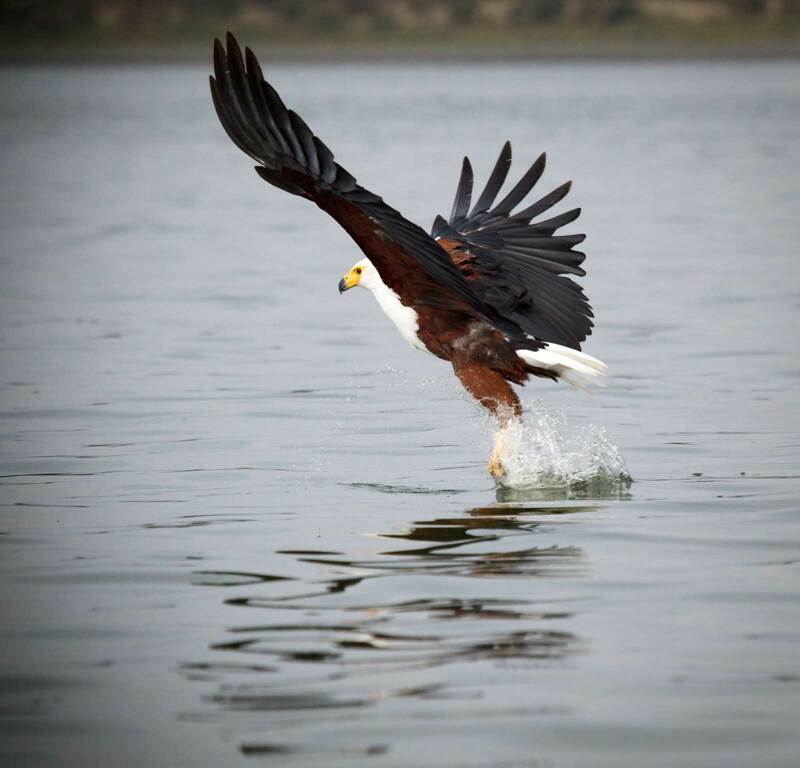 But it is the fish eagles swooping for fish that attracts thousands of tourists to this city – and the reason for our visit. The best time to see the eagles is morning, early morning. Our hotel backed on to the lake, so we didn’t have too far to travel to meet our guide and settle into our boat, which was really just a small tinny. Once you’re on the river it’s hard to miss the hundreds of hippos lurking just under the surface of the water! They stay in herds of about 50 and groups are dotted across the lake. For most of the time we were there the hippos stayed under water (probably still sleeping) until our guide thought it would be fun to get them to stick their heads up by bashing a tin lid. It worked, the hippos would look up and straight at us, I’m pretty sure this is not ideal for the hippos and not a smart move on the tourists’ behalf. 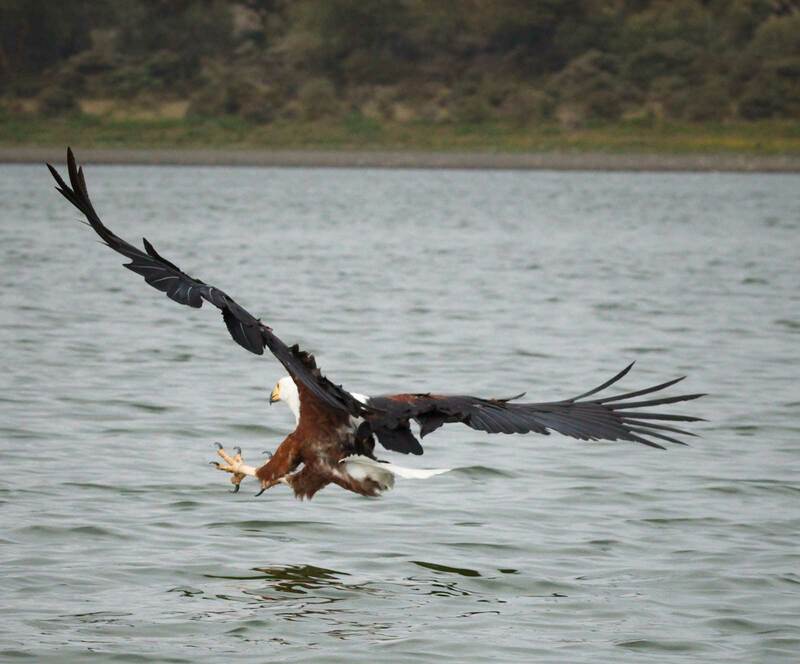 After crossing the lake to buy our fish we headed back to the middle of the lake to watch the fish eagles swoop for their breakfast. 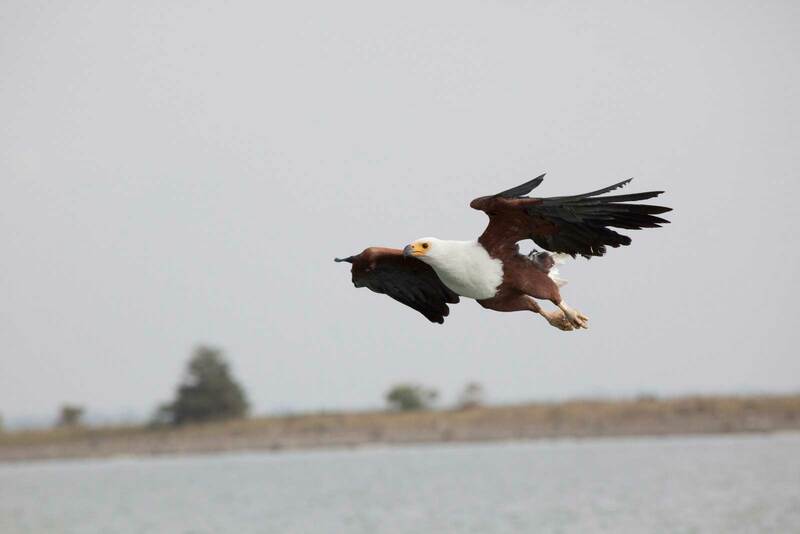 According to our boatman fish eagles travel in pairs and mate for life, and they sit in pairs at the top of the trees waiting for fish. 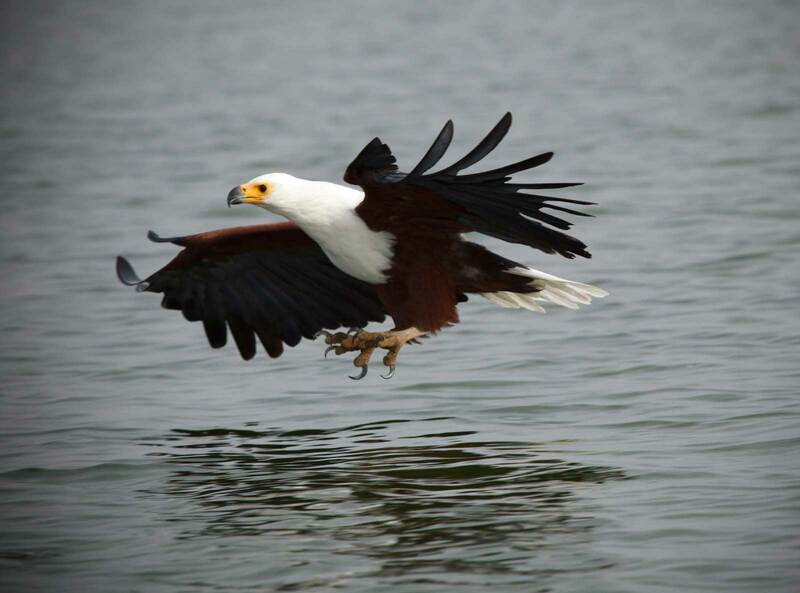 The boatman calls the eagles with a whistle then throws the fish into the water. 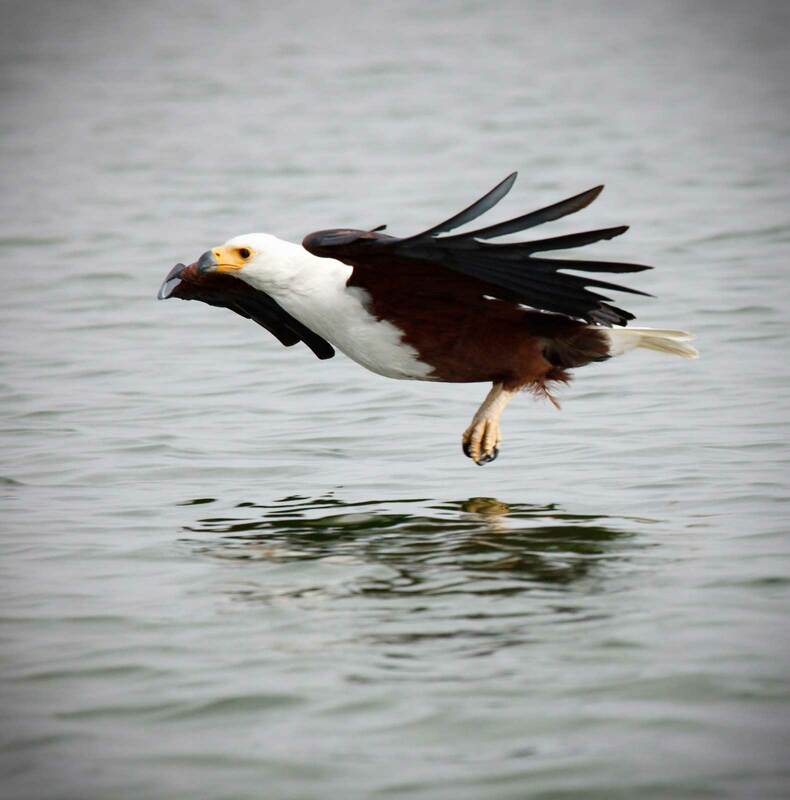 The fish eagles swoop down into the water to retrieve the fish and return to their posts at the top of the trees. It was quite a spectacle and a fabulous end to our African adventure. We stayed at the Lake Navaisha Country Club. Was it long enough? We got to have a good look around and didn’t feel like we needed any longer – we even got to spend some time in the grounds at the country club where we spied a colobus monkey or two. Highlight: Walking through the gorge, walking with elephants and photographing the eagles in flight. Ever wondered what it’s like to travel to Africa? We’d love to hear your views below. Check out our Instagram feed for more images from our travels.